Race take away: Racing is fun again! Saturday morning Rob and I headed out to run a 5K at nearby Lake Evergreen. The weather was cool and in the 60s. I was so chilly that I even opted for long sleeves for the race, but short sleeves would have been fine. Rob and I went out and did a warm up for about 2 miles and then caught up with other runners before the start. As I’m still not in race shape, my plan was to improve upon my Dog Days time, while trying to keep a stead pace. We were off and after the first mile I was feeling great. Splits on my watch were 7:09, 7:06, 7:16. I was third female and was passed at mile 2. 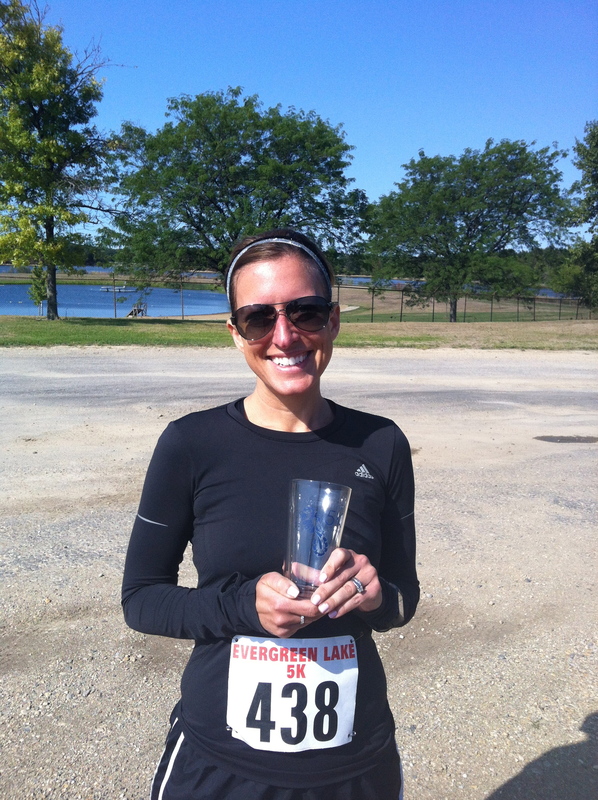 After that I was able to pass another girl, keeping me at 3rd female overall and 1st age group with a 22:13. The race felt easy, well as easy as a 5K can feel. I’m excited to be enjoying racing again! Rob came in at 20:24 and was 2nd in his age group. We both got pilsner glasses for our efforts. The glass, the back says “Award Winner”. YES what a fabulous recap and I love that it is fun again! What a cute glass! That’s awesome! 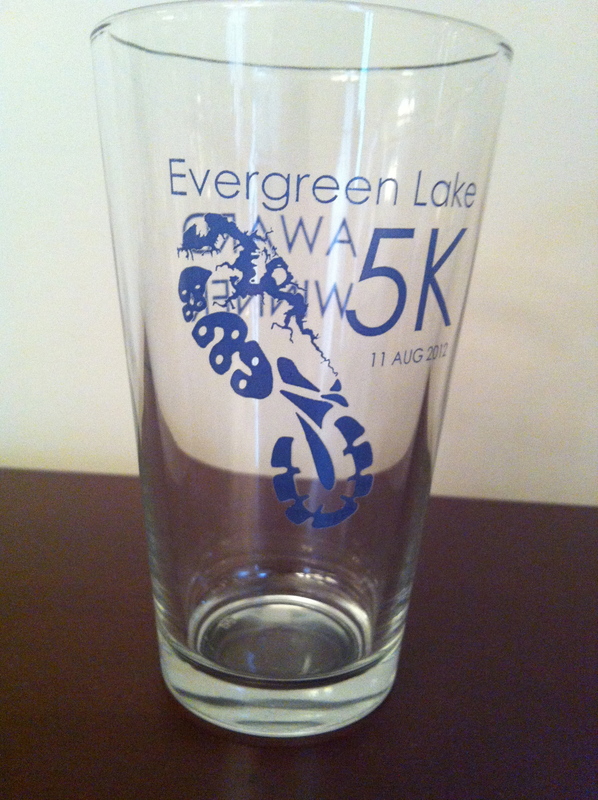 I’d take a pilsner glass any day of the week over a medal.